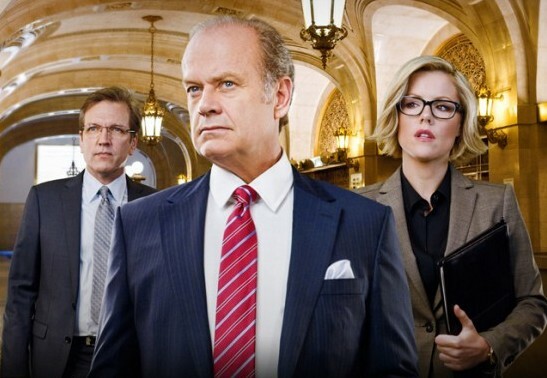 Chicago Mayor Tom Kane (Kelsey Grammer) may have a hold on his city but his Boss TV series struggles to attract viewers and big ratings. Will it be cancelled or renewed for a third season? Time will tell. The Starz TV show also features Connie Nielsen, Hannah Ware, Jeff Hephner, Kathleen Robertson, Troy Garity, Rotimi, Jonathan Groff, and Sanaa Lathan. Here are the most recent TV ratings for Boss. The series’ ratings are the best way to tell if it will be cancelled or renewed for a third season. 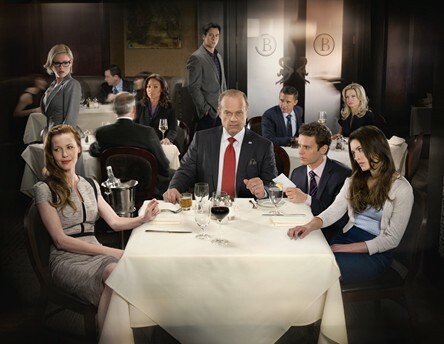 The second season of Boss airs Friday nights. There are 10 episodes. UPDATE: Starz has cancelled Boss but may make a movie to wrap up the series. Final season averages: 0.1 rating in the 18-49 demographic with 0.36 million viewers. 0.20 demo rating (+100% change) with 0.44 million (+30% change). Season averages: 0.11 in the demo with 0.36 million. 0.10 demo rating (-44% change) with 0.34 million (-23% change). Season averages: 0.10 in the demo with 0.35 million. 0.18 demo rating (+157% change) with 0.44 million (+41% change). 0.07 demo rating (-36% change) with 0.31 million (-24% change). Season averages: 0.09 in the demo with 0.34 million. 0.11 demo rating (+10% change) with 0.41 million (+7% change). 0.1 demo rating (0% change) with 0.38 million (-1% change). Season averages: 0.10 in the demo with 0.34 million. 0.10 demo rating (0% change) with 0.39 million (+4% change). Season averages: 0.10 in the demo with 0.33 million. 0.10 demo rating (100% change) with 0.37 million (+62% change). Season averages: 0.09 in the demo with 0.31 million. 0.05 demo rating (-62% change) with 0.23 million (-28% change). Season averages: 0.09 in the demo with 0.27 million. 0.13 rating in the 18-49 demographic with 0.32 million total viewers. Season average: 0.13 in the demo with 0.32 million. What do you think? 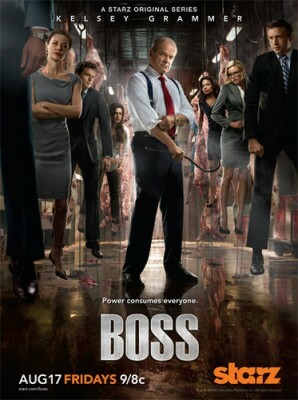 Do you like Boss TV series? Do you think that it should be cancelled or renewed for a third season? Boss: Already Doomed to Be Cancelled? Discovered this series “On Demand” and can’t believe I ever missed it. It is so intense and engrossing, and complex. I feel left hanging. The characters are so interesting and well written. Kelsey Grammar is amazing! PLEASE where is the movie! The “duming down” of America? Is that satirical? Boss is the true successor to The Sopranos. I watch every episode in horror to see just how complex, corrupt and lost all these people are. It’s brilliant stuff which reminds me how clean and simple my life is. I believe it was cancelled as it hit too close to the homes of those who occupy similar positions in real life. For real why would I want to be entertained by it.The duming down of america,I have seen what drugs and corruption does to a community. Sorry its Not for me!There are families and communities in chiga0 still suffer from the crack epidemic. Tv shows like this are here to indoctinate those that never leave their home and pay to be brainwashed I meaan entertained! This is a great show and must have a third season! Is there any official petition to sign online? Please dont cancel this show. Im heart broken. Im an actor myself and the screenwright actors everything is awesome and i was really excited about season three smh. Please let another network pick the show up. I hope the network will reconsider the decision to cancel Boss. I think it is one of the most interesting series airing. It is very well cast, the story line is fascinating. I agree with other commenters…I don’t think it has been marketed properly. I have told several friends and family about it and they all watch.